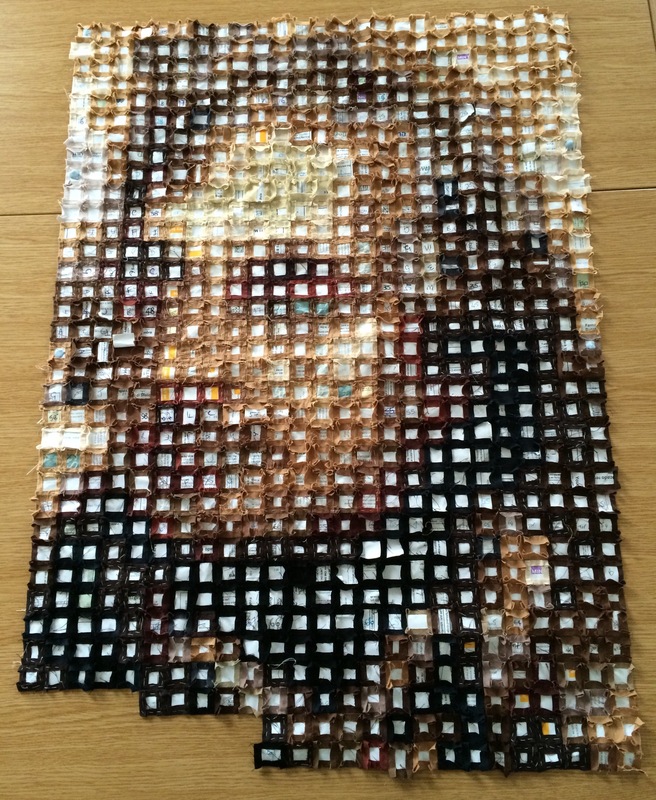 Trafalgar Day and an Update on the Nelson Quilt – is there room for me to sew? 21 October is Trafalgar day. It was on this day, in 1805, that Nelson won his most famous victory, and the one that cost him his life. I am not a naval historian and I am not going to attempt to write about the Battle of Trafalgar, but I am going to share the latest progress on the Nelson Quilt. My interest is in Nelson’s continuing place in popular culture, an interest sparked by Maurice Elvey’s 1918 Nelson film (which inspired the Nelson Quilt). Elvey was given permission to film on HMS Victory and recreated the shooting of Nelson on the Quarterdeck, and the chaos and fury of battle around him as he fell. The film shows Nelson being advised to remove his medals lest they make him too conspicuous, but he refuses: “In honour I gained them and in honour I will die with them,” the intertitle reads. The Nelson Quilt now has over 800 one inch squares, which means that a quarter of it has been pieced. I am at currently sewing Nelson’s coat and his medals. This is quite a challenge: close up I cannot recall why I am piecing a square of yellow or beige or cream. Then, from a distance, I will see that the ribbon for a medal or some gold braid has suddenly appeared. Various Trafalgar Day commemorative and celebratory events still take place around the UK. One of the biggest events takes place in Central London. For over a hundred years, on the Sunday closest to 21 October, Sea Cadets, along with cadets from the Army and Air Cadets, have paraded to Trafalgar Square. Their bands play music and groups of Cadets take part in a physical training display. This is followed by a wreath laying ceremony and a service, which includes a reading of Nelson’s Prayer before the Battle of Trafalgar. In 1916, courtesy of British Pathé, we can see that it looked like this. Wreaths are also laid at Nelson’s tomb in St Paul’s Cathedral. In Portsmouth, the Royal Navy holds a Trafalgar Day Ceremony aboard HMS Victory. Nelson’s signal “England expects that every man will do his duty,” is sent from the ship at 8.00am. Wreaths are laid on the spot where Nelson fell and on the orlop deck where he later died. A film of the ceremony from 1933, To the Immortal Memory of Nelson, can be found here thanks once again to British Pathé. In Norfolk, the county of Nelson’s birth, an annual service is held at Great Yarmouth at Nelson’s monument (the Norfolk Naval Pillar) in South Denes. 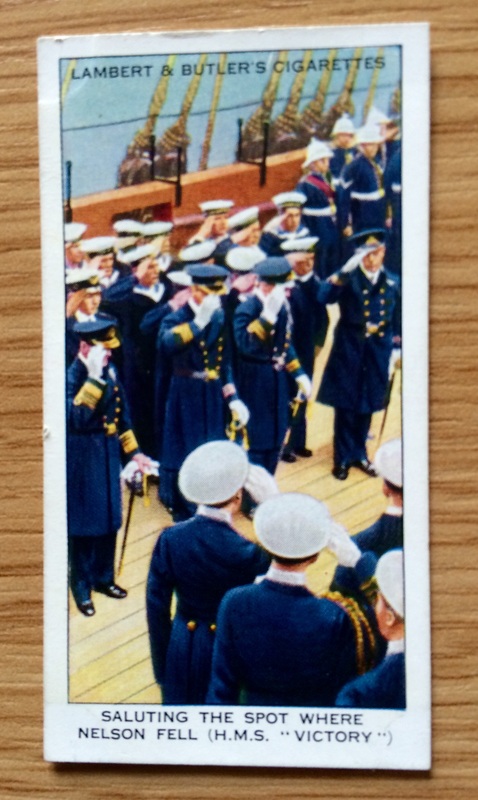 A gun is fired, at 1.15pm, approximately the time Nelson was shot, a toast is drunk, and wreaths are laid. In Birmingham there is an annual service and parade, culminating in a garland of flowers being placed on the statue of Nelson which is situated in the Bullring. As for me, I’m going to a commemorative concert at which Haydn’s Nelson Mass will be sung. 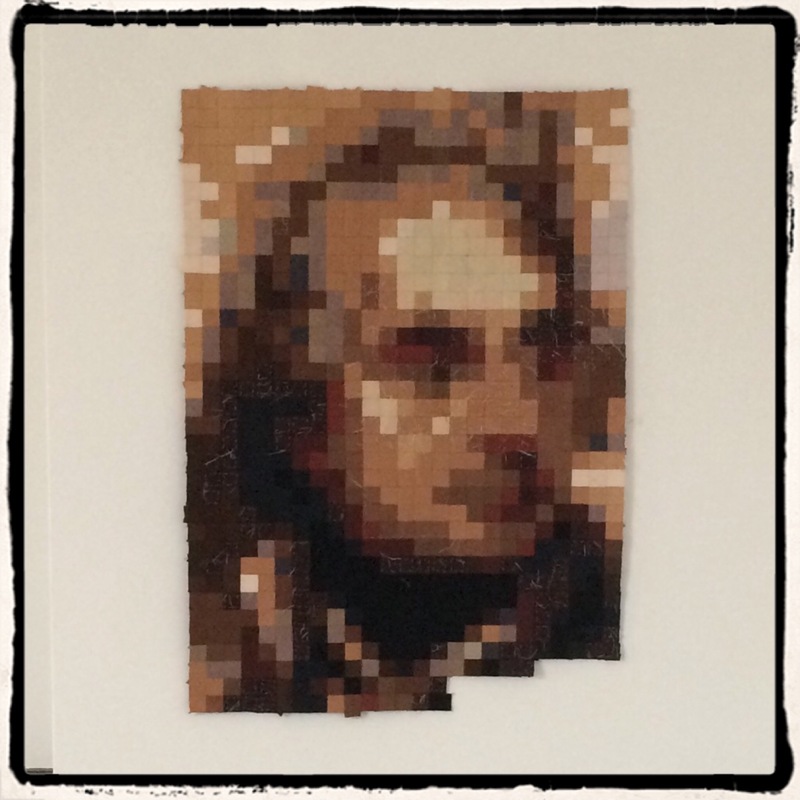 And I am sure that more squares will be added to the Nelson Quilt.